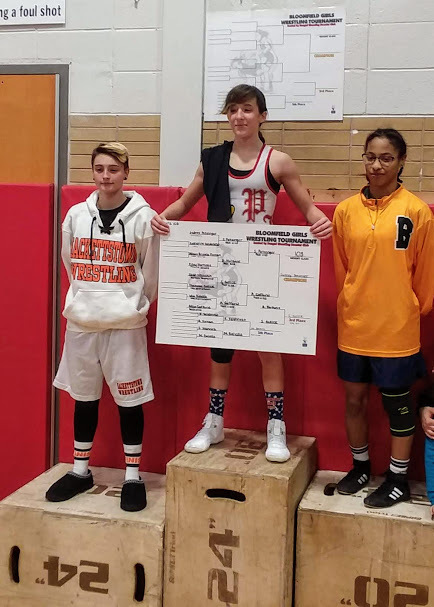 DePaul’s Haley Perez wins championship; Belleville’s Alisa Safforld wrestles a great title bout, in first Bloomfield Holiday Tournament, for girls | Mike Lamberti, From Margate To Cleveland, And Back ! When the long-standing Bloomfield Holiday Wrestling Tournament was discontinued three years ago, there was a sense of sadness. But this year, it was revitalized on Dec. 29, with an all-female program. And to say the event was a success, at George Cella Gymnasium, on the campus of Bloomfield High, might be an understatement. 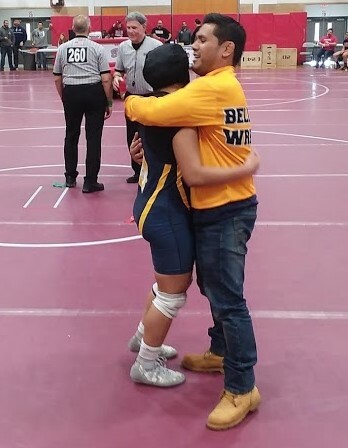 The NJSIAA instituted female wrestling on the high school level for the 2018-2019 school year. And with that, a new era of young grapplers are getting the chance to compete. 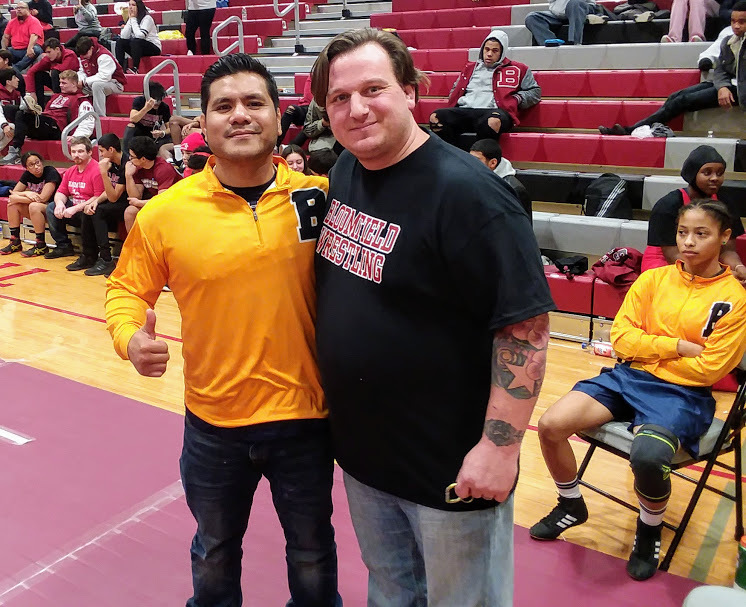 Ryan Smircich, Bloomfield’s head wrestling coach, helped put the Bloomfield Holiday Tournament together this year, but Smircich deferred most of the credit to long-time assistant coach and former Bengals standout wrestler, Jason Galioto. The tournament was first class in every way. The officials included some of the best in Northern New Jersey, including Vinnie Russo, one of the most respected high school wrestling referees in New Jersey. The original Bloomfield Holiday Wrestling Tournament lasted 52 years, before ending in 2015. Then Bloomfield head coach Sam Fusaro noted the changing of conferences for most of the teams which used to participate in the tournament, as a main reason for its decline. When Smircich saw the opportunity to bring back the tournament, the girls competing at the ‘new’ gym in Bloomfield, seemed like the perfect idea. Locally, Belleville High advanced two wrestlers to the championship bout. Alisa Safforld did a tremendous job, advancing to the 103-pound final before losing a hard-fought, 7-3 decision to Parsippany’s Sydney Petzinger. In addition, Soraya Safforld, Asmaa Embaby and Krystal Araujo did a good job for the Bucs. 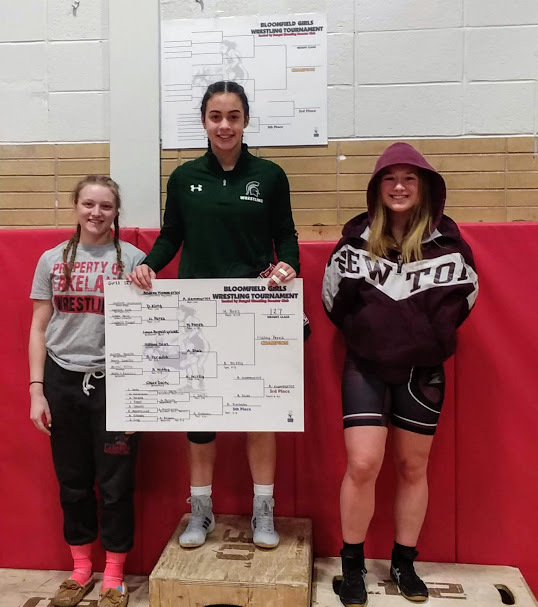 DePaul’s Haley Perez was outstanding in winning the 127-pound championship and becoming the first Spartan to win an NJSIAA-sanctioned women’s wrestling tournament. 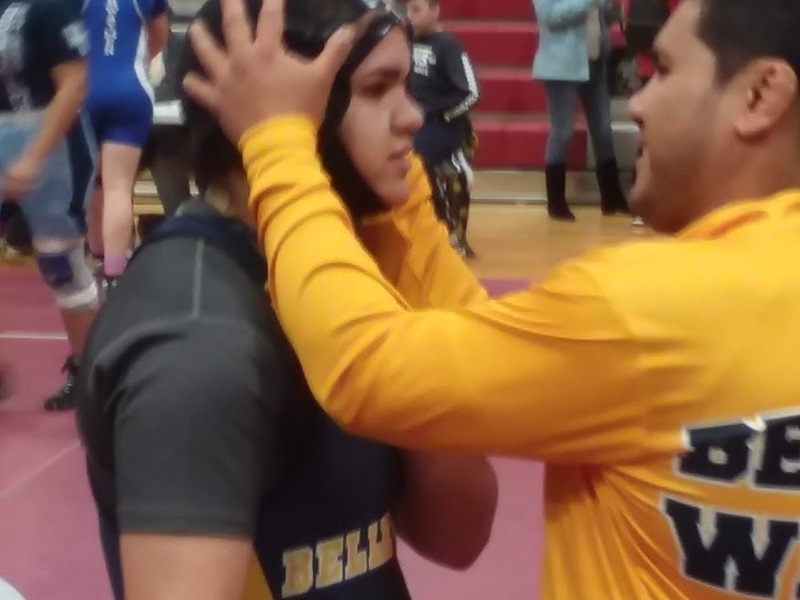 Many of Perez’s male teammates were at the Powerade Wrestling Tournament in Pennsylvania, and while DePaul head coach Keith Karsen couldn’t be in Bloomfield, he was ecstatic upon learning of Perez’s championship. Bloomfield had four wrestlers compete, in Claire Daity, Giana Faura, Angelina Faura and Jordyn Parker. There were seven championship bouts to finish out the day. The wrestlers all competed hard, but were incredibly gracious in victory, and defeat. I spoke to a number of coaches at the tournament, who all said that the girls on their respective team were doing a great job in practice, on a daily basis. Fusaro, the now-retired Bloomfield coach, was on hand, and couldn’t help but be impressed with the talent on the mat. Smircich was proud of the way the entire community came together. A new era of wrestling is underway, and let’s hope this is just the beginning of some great times for young ladies on the wrestling mat.